Composed by Jacques Offenbach (1819-1880). Edited by Lawrence Odom. Conservatory Editions. Score and set of parts. Neil A. Kjos Music Company #B415. Published by Neil A. Kjos Music Company (KJ.B415). 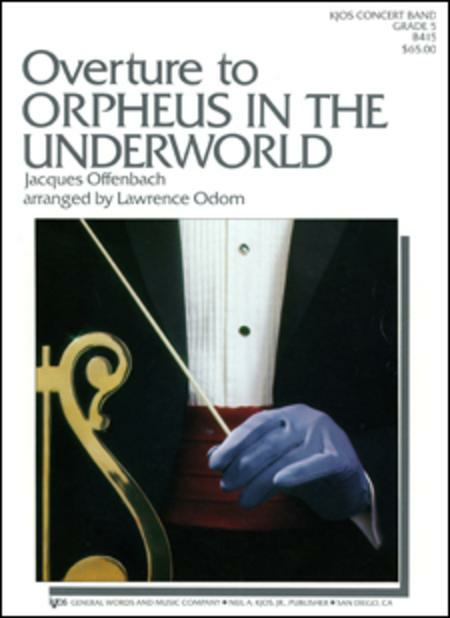 From the opera bouffe, this famed overture begins with a bristling fanfare followed by a tender love song and then an infernal passage as Orpheus journeys to Hades to bring back Eurydice. The Finale, after an elaborate waltz, is the ever-popular can-can.